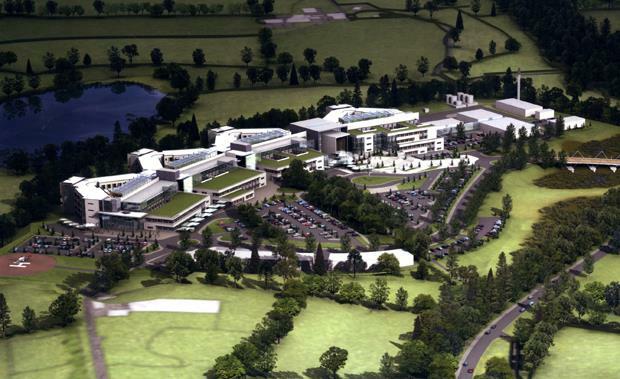 A Public Sector Comparator and Masterplan for a regional hospital in Northern Ireland, in the scenic Sperrin Lakelands. 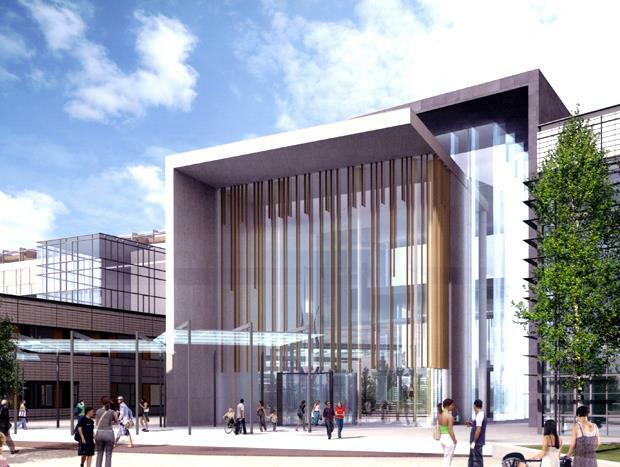 The PFI proposal was for a pair of regional hospitals to replace existing facilities. Enniskillen was the larger of the two, with an ‘enhanced local hospital’ providing complimentary services at Omagh, some 45 km to the Northeast, to be developed later. The Enniskillen facility was arranged to use the site to the best advantage, not only for clinical and town planning reasons, but also to enable all to appreciate the beautiful views available. Accommodation was arranged along a curving hospital street, with inpatient accommodation on one side and the ‘hot blocks’ of diagnosis and treatment on the other. Each of the ward units was designed to have two access points to enable separation of clinical and public traffic, and the access at each end connected to an appropriate vertical core to enforce this. Project carried out in association with Todd Architects Belfast and WGI architects.